Going to the effort of setting up a smart home just so you can turn your lights on and off from your phone may not seem like the best use of your time and resources, but with the right gear and apps you can put together some routines that really will impress family, friends, and occasional Airbnb guests. Here are five of our favorites. 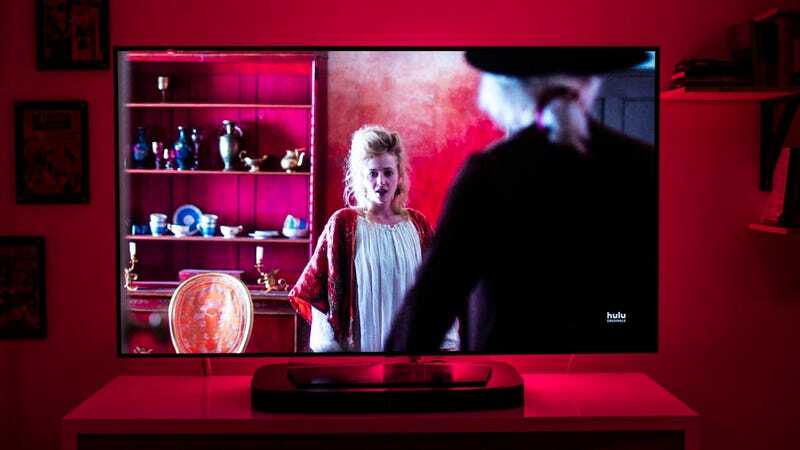 If you’ve invested in some Philips Hue lights then you can get them changing shade and brightness in time with movies and TV shows. The end effect looks incredibly cool and could be the finishing touch to your home theater room. It’s not difficult to do either—all you need is the free Philips Hue Sync app for Windows or macOS. That is the one caveat about this setup: Your videos must be played on a computer (or a computer hooked up to a TV), so the program can detect what’s on screen and get your lights cycling accordingly. You need to do some prep in the mobile Philips Hue app for Android or iOS too. Open Settings, tap Entertainment areas, then choose Create area. Select the relevant room, choose some or all of the lights listed (they must have multicolor abilities), then tap Lights are ready. The app then asks you to specify the layout of your cinema room. Fire up the desktop application, connect to your system, and select the entertainment area you’ve already configured. Pick the Video option (you can also sync to music and games), then Start light sync, and switch to your video player of choice. The buttons on the control panel let you tweak the strength of the effect. The best smart home tricks should work like magic and if you use the location triggers that are available in free web service IFTTT (If This Then That), you can get all your smart home gear to respond to you leaving the house. Turn the thermostat down, make sure the lights are off, and so on. Many smart home services have this kind of geofencing built in, but we like IFTTT because it works with so many services and devices—insuring nothing is left on that shouldn’t be. So IFTTT knows where you are, you need to have the app for Android or iOS installed. Assuming you’re all signed up for IFTTT and have the apps installed, from the website click your avatar (top right) then choose New Applet. Pick Location for the “this” trigger, then You exit an area, and locate your home on the map. Click Create trigger to finish. Next, select the “that” action and take your pick of smart home services: IFTTT works with SmartThings, Nest, Philips Hue, Belkin WeMo, Lifx, Ecobee and more, so the choice is yours. Unfortunately, you can’t combine them all into one applet—you need to set up a separate one for each one you want to turn off—but when they’re all configured, your home will go dark, and secure as soon as you leave. If you’ve got an iPhone and use HomeKit devices, you’ll soon be able to do this with Siri Shortcuts too. When iOS 12 drops (or if you’ve already got the beta), open up the Siri & Search menu in Settings, then tap More Shortcuts, then combine the devices you need. You’ll still have to say a voice command when you leave the house, but otherwise everything will run automatically. You know you’re in the future when you can speak out a command, apparently into thin air, and make a call with nothing but your voice (touchscreens are so last century). Thanks to the likes of the Google Home, the Amazon Echo, and the Apple HomePod, you can do this right now, today, with only a few minutes of setup required. Assuming you’ve set up Google Home, linked it to your Google account, got the Google Home app installed on your phone, and allowed personalizations—full instructions here—you can then make a call by simply saying “call...” followed by someone in your Google Contacts list (you can also just speak out the number). To end the call, tap on the top of your speaker, or say “hey Google, hang up” instead. For an Amazon Echo, you need to tap the Conversations button (the speech bubble) in the mobile app, then enter your mobile number and follow the instructions to get calling up and running. As with Google Home, just say “call...” and then a contact name to place the call—you can specify a particular number as well, like mobile, work, or office. To finish the call, say “hang up” at the end. For the time being, you can’t actually make calls using Apple’s HomePod speaker, but you can transfer calls from your iPhone to the HomePod and use it as a speakerphone. When you’re in a call, tap the Audio button on the screen, then choose your HomePod from the list. A green light appears on top of the HomePod when you’re connected, and if you need to, you can use the buttons on top of it to adjust the volume. Setting up your smart home so you know exactly when the kids get back from school is really useful and not that difficult to do. It saves you worrying about where they are, saves them the hassle of texting you at the end of every school day, and can easily be adapted to suit your own home routine. You’ve got a few options when it comes to this. On a basic level you can set up a motion-sensing camera like the $129 Canary, which will buzz you as soon as a person is detected coming through the front door—it can distinguish between people and other types of motion, and of course does plenty of other tricks too, like measuring temperature and humidity at home. If checking a picture on your phone seems like too much effort, or you don’t necessarily want to snoop so intrusively on your kids, a $229 August Smart Lock can grant access based on a mobile device, telling you exactly who has come through the door and when. Another cool feature of this and other smart locks is being able to temporarily let family, friends, Airbnb guests and others into your home. You also don’t actually need a physical smart home device for tracking your kids—the Life360 apps for Android and iOS will automatically ping you when your youngsters enter a certain area (like home or school), no manual effort required. That’s assuming you can get them to install the app on their phones first, and they’re okay with you tracking their whereabouts so consistently. Peering at the feed from your Nest security camera on your phone is fine, but to catch enough detail you really need to get the footage up on a big screen—with the added bonus that you can quickly flick to and from your security cameras while you’re lounging around on the sofa watching TV. You could even have the feed up in the background while you do something else so you never have to miss the delivery guy again. Thanks to the magic of Google’s various services, this is possible if you have both a Nest Cam IQ indoor camera and a Chromecast, though it’s a bit more fiddly to configure than maybe it should be. First you need to open up the Nest camera app for Android or iOS on your phone, tap the feed you want to use, then tap the cog icon (top right). Choose Google Assistant and flick the toggle switch to on. Next you need to go into the Google Home app for Android or iOS (told you it was a bit convoluted), open up the app menu, and pick Home control. Tap the plus icon, choose your camera, and it should appear as a configured device. You can now control your Nest camera through Google Assistant (either on your phone or through a Google Home speaker, if you have one), so we’re ready. Say “show [camera name] on [Chromecast name]” and as if by magic your Nest camera feed should show on whatever television set your Chromecast is connected to. If you need to give your devices names that are easier to say, you can do this through the Nest and Google Home apps. When you’re done, say “stop [Chromecast name]” to do just that.